History. Lisa Vella, the owner, founded Baileywyck Antiques, nee Baileywyck Shoppes, in Middleburg, Virginia, in 2006. Situated in the heart of Virginia’s beautiful and historic Horse and Hunt Country, we quickly became one of the area’s most surprising antique destinations. Lisa travels widely around the States and abroad in search of treasures to enhance your home—sometimes hers, too. If you find yourself in the Washington, DC/Northern Virginia area, please visit! Philosophy. We care about our acquisitions and their presentation. Each item in our collection was personally selected and is tastefully staged in our gallery. We appreciate beautiful furnishings that have stood the test of time as well as their history. Though mood and timing may influence our purchasing decisions, ultimately, the items you find at Baileywyck are items we would be proud to have in our homes. Baileywyck is named after Lisa’s beloved Golden Retriever, Bailey. 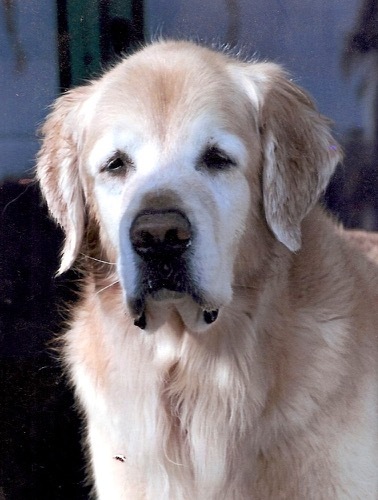 Though no longer with us, his memory lives on in her two other Goldens, Emma Rose Rover and Donnie. They can oftentimes be found lolling about the shop and welcoming customers. Baileywyck is also a play on the word, “bailiwick,” meaning one’s particular area of interest or expertise.